"A lovely piece of work. 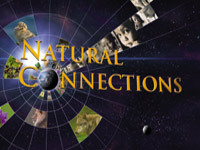 Excellent production values and interesting vignettes help to make several concepts in conservation and biodiversity very real and immediate...Could be used quite effectively in secondary schools or lower division biology or ecology classes as an introduction to issues of biodiversity, the interconnectedness of the natural world, and the critical need for conservation. All of the scientists interviewed are articulate and interesting...Individual vignettes and stories could be used separately in more advanced classes or where class time is very short." Preserving the balance of dynamic ecosystems.